Followed by a reception in the Life Story Center. There was only one Marcia Curry, and with ways all her own, she delighted all with her great sense of humor and ever present laughter. Marcia valued and appreciated the finer things in life such as a fine wine, a treasure found at a thrift store, the arts, travel, and all things beautiful. Her outgoing nature and fun-loving spirit naturally drew others to her side. Although gone from love’s embrace, Marcia leaves a multitude of memories to be forever cherished. A time of mixed blessings in the U.S., the year 1943 was filled with the perils of war at a time when the Great Depression was officially deemed over. The Pentagon was dedicated in Arlington, Virginia, and a sense of optimism filled the air with publications such as The Saturday Evening Post and box office hits like Casablanca. Much was being done for the war effort as the nation came together during these tumultuous days of World War II. Yet for Lawrence and Myrtle (Asmus) Flick, the birth of their little girl, Marcia on March 12, 1943 was indeed cause for celebration. Born and raised in Kalamazoo, Michigan, Marcia grew up on Osborn Street where her family made their home. Her father worked as a night superintendent and later for the Eckrich Company. 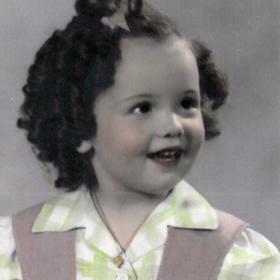 When Marcia was young, her mother remained at home as a homemaker until later when she began working in the office for the Gibson Guitar Company. Although four and a half years younger than her older brother, Doug, much enjoyment was found during her childhood taking in fun-filled times at several of the vacation cottages her family rented on the local lakes throughout the summers. These times instilled a love of the water for Marcia which remained throughout her life. Marcia attended the Kalamazoo area schools and enjoyed the friendships of several close friends. On the quiet side, Marcia pretty much kept to herself and spent a lot of her time reading. After graduating from Kalamazoo Central High School with the Class of 1960, Marcia went on to further her education at Western Michigan University where she received her bachelor’s degree in education. With a desire and love for travel, Marcia moved to New York for a time where she gained valuable experiences living on her own in a big city before returning home to Kalamazoo. 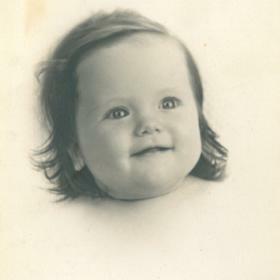 In 1966, Marcia was blessed with the birth of her daughter, Dominique. Raising her as a single mother wasn’t always easy for Marcia but she worked hard to provide a good life for herself and her daughter and with the help and support of extended family who also took a part in raising young Dominique.  Eventually, Marcia landed a job working for the American Heart Association where she remained for the next 30 years. When the time came for her to retire, Marcia had attained the position of Regional Director. Even though Marcia loved her life’s work and career, she didn’t allow it to define her. Just as Marcia was so full of life, she indulged in life experiences such as singing, dancing, and her love for the arts. Marcia saw beauty in many things and in numerous forms. Artistically talented, she painted and even made a few crafts over the years. Marcia loved plays, the theatre and especially the Kalamazoo Symphony. Attending Broadway shows always brought an air of excitement to Marcia and when it came to her preference for music, she liked easy listening and enjoyed all the classics. 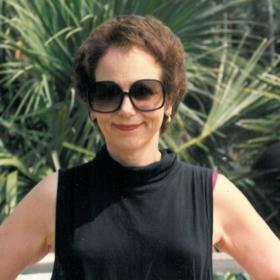 Marcia continued to be an avid reader and throughout her life she read classic literature. She also collected books on painting, the arts, figurines as well as a number of other eclectic items she collected. She also had a penchant for shopping. Marcia surrounded herself in the many things she so loved. She always dressed well and liked going out to nice places. Her flower gardens were always big and beautiful, and she loved going to the casino where she enjoyed playing the slots. Animals were another thing Marcia was fond of. She loved all animals, and seemed to always have a cat or dog or two around as furry companions. 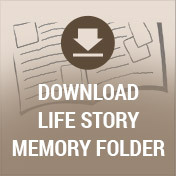 Travel played a large role in Marcia’s life. 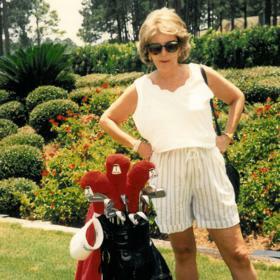 For several years she had a condo at Hilton Head where she enjoyed walking the sandy beaches and loved the water. Later in her life, Marcia had a place in Canada on the water, and she loved visiting her daughter who lived on Scott Lake. While visiting there, she even enjoyed her son-in-law, Dave’s tiki bar at the lake. Great times were had by all when Marcia traveled to Greece and other exciting destinations with several good friends. She loved sunsets and boat rides, and the west coast’s wine country. For over 35 years, Marcia and her special companion and travel partner, Andy spent many good times together wherever they went. Marcia Curry, age 74 of Kalamazoo, died April 14, 2017 at Bronson Hospital. She was preceded in death by her parents, Lawrence and Myrtle Flick. Surviving are her daughter, Dominique (Dave) Gugle; brother, Doug (Donna) Flick; two special companions, “Tuxedo” and “Lady”; many nieces, cousins and friends. Cremation will take place and a service celebrating Marcia’s life will be held Friday, April 21, 2017, 4:00 pm at Betzler Life Story Funeral Home, 6080 Stadium Dr. Kalamazoo (269) 375-2900 followed by a reception in the Life Story Center. 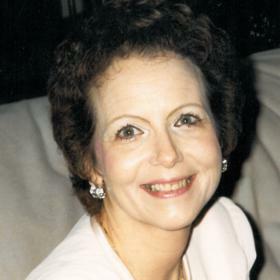 Please visit Marcia’s personal web page at www.BetzlerFuneralHome.com where you can share a favorite memory or photo and sign her online guestbook before coming to the funeral home. In lieu of flowers, memorial contributions may be made to the Kalamazoo Humane Society.